Please welcome another AliExpress dropshipping success story from our amazing customer! 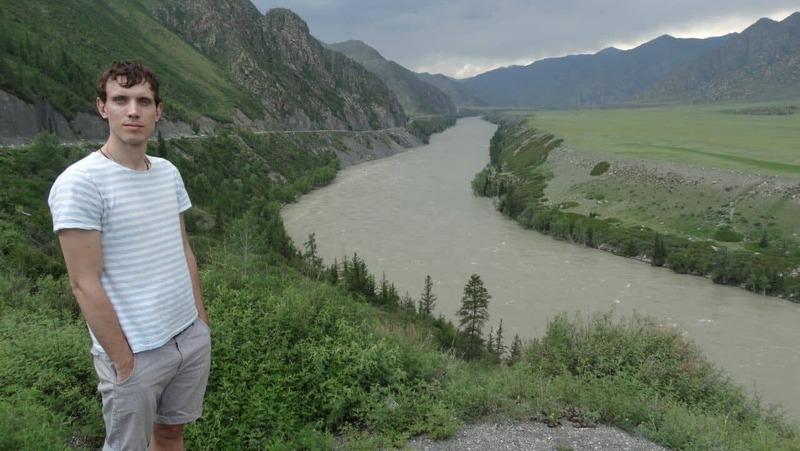 This time, we asked our client Alex for a little interview, and he gladly agreed to share his dropshipping experience. We hope you will find his insights really useful! Please tell a couple of words about you and your business. Hi, my name is Alex, I’m 32. 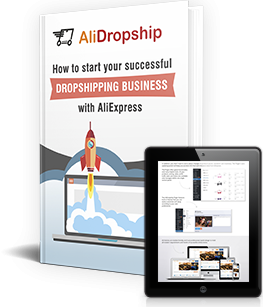 I have no experience in trading in its classic format, but I was always interested in online sales technologies – that’s why I simply could not skip the offer of AliDropship and not make a try. My very first dropshipping store sells popular imitation jewelry and accessories. 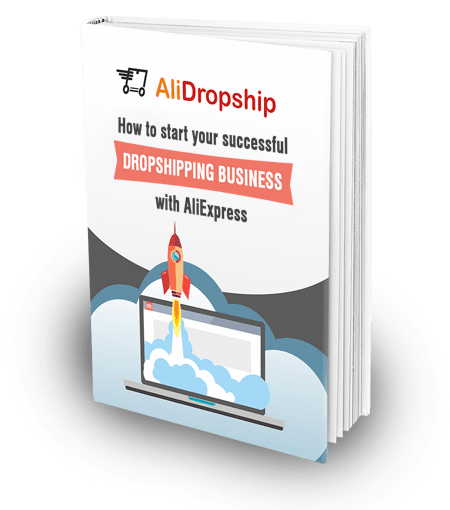 Why did you decide to start dropshipping with AliExpress? In fact, this is a business model of trading without logistics (including the most complicated part of it – the products storage) which is extremely comfortable. The work with products assortment is also greatly simplified, since all goods are imported and published in just few clicks. One more benefit is the opportunity to start a business without registering a company. Why did you choose this niche? I didn’t bother too much about selection of a good niche for my first store: with my humanitarian mindset and basic computer knowledge, I just wanted to practice in a webstore running and to learn all the processes. Still, the niche of imitation jewelry and accessories seemed quite promising to me, so I decided to begin with it. When did you create your store, and how fast does your business grow? My first webstore was launched in July, 2016. But its full-fledge operation began in August when the sales started. During the first month I paid very little attention to the store, its administration and promotion. By the middle of September I realized that this is a truly effective business tool with an unlimited potential. I started sparing much more time on it. In September my sales grew, and since the middle of October I’ve been devoting nearly all my time to dropshipping. I have built two more stores with the help of AliDropship plugin. As a result, by October 20 my revenue came to $6000. What channels are now generating maximum traffic and sales for you? The major part of my social traffic was attracted owing to a special plugin for webstores’ promotion in social networks (Social Rabbit) and to my own online activities. I had no SMM experience before. I didn’t even have a Facebook account and always thought (and still think)) that social networks are, putting it mildly, not the best way of spending one’s time. Nevertheless, I learned their simple functional quickly and started using them for advertizing. I followed the instructions of a dropshipping store’s promotion on Facebook and Instagram given by AliDropship. What are your sales-per-day and sales-per-week records? Cannot say with an accuracy of a dollar, but the day’s record is about $900, and the week’s one is $2400. What problems appeared the most complicated for you? How did you solve them? At the very beginning people without a technical education and with small computer experience may think that one needs to obtain a huge volume of knowledge and skills to successfully manage a webstore. But it’s only the first impression: you should just begin – and things will turn easy to understand and to do. I also want to stress how I appreciate the work of AliDropship support team for their fast and careful help, their ability to assist in any difficulties arising in a dropshipping business – including the store’s administration and social media activities. I also worried about the long deliveries from AliExpress before, but with the ePacket shipping option it’s not a problem at all: the delivery takes just 10-20 days, and the receiver gets a tracking code helping to always be aware of the parcel’s location. I already have three AliExpress dropshipping stores and now plan to optimize and polish all the processes and to boost my business. I’m already looking for assistants to delegate all the routine work to them. It will give me an opportunity to focus on the business itself, its strategy, growth and new businesses creation. Thank you, Alex, for such a wonderful story of success! We hope this story will inspire our readers to start their own dropshipping journeys, or to share their own experience in dropshipping with our solutions. Thanks Alex for sharing this with us ! i feel so motivated to get my 1st sale , just purchased Social rabit & my facebook page so far getting more likes & reach , may i ask you if you used any paid promotion methods ? especially Fb ads that a lot of dropshippers use . I didn’t try paid ads besides instagram shoutouts, but I think FB ads and Adwords deserve special attention and I would like to try in the nearest future. I’m really glad that my experience motivates you! I have just launched my website http://www.snappyman.co.uk . It seems daunting but every journey begins with one step. Its good to hear from people who have been there and done it. I am looking to use a combination of methods. Keep the community and forum alive. can you explain further how you used social rabbit plugin to get traffic on your site? You just posted in groups, or? I think I’m still not using all the possibilities of this plugin, but you’re right, I just added groups related to my niches and launched auto-promoting tool. The rabbit visits these groups, likes posts, leaves comments generating traffic for me. Dear Alex why did you make many more store? it is not possible to sale all items from one store? i am really dont understand please this policy making more store, it is not possible to sale all items from just 1 store? like : all items Clothings, Electronics, Baby dolls, Watch, Tools, Jewelry, these all items not possible to sale from 1 store? We want to know what is the main reason dear Alex? I don’t think it is a good idea to create another AliExpress store:) In my opinion it’s better to focus on a particular niche and products. It gives more trust, better shopping experience and it is easier to promote. 1. Tt’s not that easy to look through numerous product options on a big store and choose the one that fully suits one’s needs. 2. Niche webstores are made by people who are passionate and well-educated about this particular sphere. Therefore, in such a store customers find themselves in a friendly atmosphere of well-informed experts who are true fans of their own products. 3. As the result, you can count on a high quality customer support – these webstores can quickly and fully answer all the niche-related questions if necessary. 4. Nicely and professionally designed niche stores with affordable items easily prompt visitors to make a purchase. Impulse buying, in turn, boosts a webstore performance. 5. Speaking of impulse purchases, it’s necessary to say that the whole procedure of buying from our niche stores is really easy. They provide a great shopping experience since you can check out even without registering, and make a payment directly through PayPal. Even if customers don’t have any previous experience of online buying, they will have no technical troubles at all. Thank you for your story. I’m still motivated but I can’t wait sale!! I started my store like one month after you and I use Social Rabbit as well. I’m builting network and paid some instagram shoutout. I’m getting some traffic but no sale at all so far. just some items added in cart with no payment. I would not say that my niche is poor. AliDropship support team told me that its a good one anyway. I’l see. I’m sure if you continue working on your project you will get your first sales soon! Nic, did you get any sale ? Your success stories is inspired me. I have started making a dropshipping website. But I haven’t tried social rabbit and instagram shoutout. I would like to ask you, how much it cost you spend 1 instagram shoutout and better performing instagram shouout with how many fans? When the effective time to start instagram shoutout? How much cost that you spend to do instagram shoutout until you get the sales? You only do 1 type of product for instagram shoutout or lot of product when you create images that will be promoted with instagram shoutout? Sorry I much question, your story is very inspiring me to do the promotion again for dropshipping website I. I hope you answer my questions and give you a little tip of the promotion so get lots of sales. screenshot penjulanan you are so breath-taking. If it’s just from instagram shoutout alone or by using facebook as well? You said before looking for a product with e-packet, means you will have to pay their own costs of the shipment or you add shipping costs on the formula of the price for the imported product? Thank you for your answer. >> how much it cost you spend 1 instagram shoutout and better performing instagram shouout with how many fans? I try to stick to the amount of $20-30 per shoutout. Accounts with 100K+ audience show better performance. >> When the effective time to start instagram shoutout? Do you mean the time of the day or your website’s age? >> How much cost that you spend to do instagram shoutout until you get the sales? I normally get sales from the very first shoutout (I try to follow the instructions given here in this blog and ерун always work). And I spend $20 to $30 as I’ve already mentioned. >> You only do 1 type of product for instagram shoutout or lot of product when you create images that will be promoted with instagram shoutout? I’m still testing which way is better. Anyhow, if I promote several products in one shoutout I take the ones from the same category and give a link to this category. >> If it’s just from instagram shoutout alone or by using facebook as well? >> You said before looking for a product with e-packet, means you will have to pay their own costs of the shipment or you add shipping costs on the formula of the price for the imported product? I add shipping costs to the product’s price but show free delivery on the website. Good luck to you and big future for your business! I glad you answer my question. Do you mean the time of the day or your website’s age? –> I means time you doing instagram shoutout Alex. When the effective time to start instagram shoutout, you said DM? How much epacket shipping price Alex? How to add epacket in product price? The epacket shipping price is same? How do you actually get it all started with the choosen retalier? I would love to try it out ! Could we see your website? If I can answer your questions without giving links, you are welcome! 1. How many products do you have in your store? 3. Is your profit coming from a few strong products or more or less equal among all products? 4. Do you spend time to find new products that fit in your niche or you let this site run on autopilot from now and focus on a new store? I hope you understand. I still learn english language. Hi, your English is great! 1. I have 300+ products now and add several items every week. 2. My stock grew during last four months. I didn’t notice any cases of good products disappearance: it seems they are always available. 3. My profit comes mainly from several topsellers and from some great new arrivals. 4. I do spend time on finding and importing good new products – it stimulates sales greatly. 5. I select only most trusted sellers. As for their products, my minimum is 20 for sells and 4 stars for the feedback. What is your weblink. I would love to look at your store and see what you have done. Hi Alex, is AliDropship opens to countries outside US? Do we need to get our own payment gateway? Hi, yes sure, you can use different payment gateways integrated with the plugin. For example, I am not based in US. Congrats to your success! I am using AliDropship and Social Rabbit plugins for 3 weeks now. I followed your recommended marketing approaches. So far get no sale but with 2 abandoned carts. Alex, do you encounter abandoned carts on your web store too? What do you do to reduce or eliminate this? – provide more payment options (paypal+credit cards). How we can reduce our delivery time because amazon and ebay delivery the product with in 1 week , then how we can attract the customer to our website ? I would recommend using epacket shipping option and always offer FREE shipping. I’m also thinking about starting up my own dropshipping site with alidropship.com, but I got a few questions. – Do I need to get partnered with Aliexpress Affiliate program? And can I earn an extra 8% commission by connecting this plugin with the Aliexpress Affiliate program? – Is it possible to make the supplier add a special card or something like that which will include a coupon code for the buyer to use on your own site for future purchases? – Will the money directly be available for me? Does the buyer get a chance to withdraw his money? – What happens when a customer is not satisfied? How do you handle that? Does the buyer send the item back, get a refund or a new product? – What kind of mail service do you use? I red that I should register with SendGrid, SendinBlue, Mailgun, Sparkpost or Mandrill service. But all these services cost money of course. Which are you using? And how much do you pay for that? (this is mainly for notifications for your customers). – if you dropship a package, the value(price) of the item would appear on the package, so far is it okay for for customers that they knew the real price of the product? Or do you have any idea how to hide those prices on the package? – One of the biggest problems I foresee are the inability to combine orders from multiple suppliers to ship to a customer at one time if they choose different products on your site. How do you deal with that? – Payment services to accept Visa, Mastercard, PayPal, etc do charge a percentage of the order, do you have had trouble with this? – Are you using any other kind of services which costs money? Which, for what and how much do they cost? Many, many many thanks for answering to my list of questions! > Yes, you can add such message in plugin settings and it will be sent automatically. > I have not tried it. > You need to click Update button time to time to keep your items updated. > Yes, money will be available instantly after a client makes purchase on your store. > All these services have free plans. > I have not had any issues with different prices on packages. > I inform my clients that we have factories in different places and your items can come in separate packages. > As far as I know the plugin does not support iDeal. > I also use Social Rabbit plugin that costs me $14/month to promote my store on social media accounts. I am researching and considering going into partnership with Ali Express. I do have a few questions. 1. I checked out the websites that have demos and when I look at the Meet our team portion on each site, these look like stock photos and are pretty much the same on each of the websites. Can that be changed? How simple is it to do that. 2.Also I noticed a lot of the wording – i.e. Q/A, about us etc are the same, can I change that? How difficult is that process? 3.You mentioned sending email reminders to customers who have left things in carts, is that included in one of the packages? Or is that something separate I would have to add? 4. When customers place orders is there a place to sign up for emails to get reminders from the store? Thank you so much for sharing a little about your journey w/ us. I am really doing my due diligence before I drop that kind of money. 1. This is a template, you can easily change the photos in customisation menu. 2. Yes, you can change these easily. 3. Yes, abandoned cart functionality is included. 4. Customers get email notifications automatically when you change the order status. I really would appreciate some help and some answers, I’m anxious to get started! -Which of the two themes/templates did Alex use? -Are you able to keep changes/customizations after hitting updates? -When I update the price formula, it’s seems to put the original and discounted (and the reviews which are not mine but the aliExpress suppliers’). I don’t want all that on m store, how do i handle this? – Alex is using Davinci theme on his stores. – The update option only updates stock, prices and check availability of a product on AliExpress. 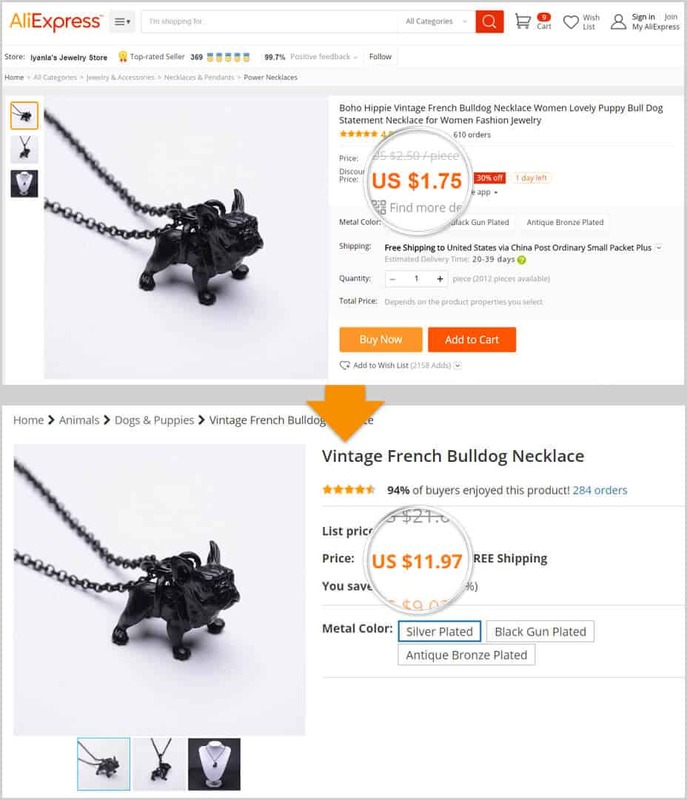 – The plugin takes original and discounted prices from AliExpress. Then you apply your own pricing based on your mark-up formula. It is up to you to import products with reviews or without them. Hi do you use personal paypal account or business paypal account. I just want to ask which payment gateway do you prefer? As I only have access to payoner due to my geo-location. Hi, I’m using Paypal and Stripe on my sites. My country is also not supported by Stripe but I registered LLC in US and registered Stripe account. Hi Alex, I am drop shipping enthusiast based in India.Is it possible for me to drop ship items from China to USA.If yes what are legal obligations? You can dropship from/to any country. As for legal obligations you need to know your country rules and regulations. Alex, your sharing is so helpful with me, thanks a lot! Hi, Alex, I’m Really inspired to your success. 1 question in my mind – When I start my drop shipping fresh store with full functionality…Why a new customer trusts my store to buy a product from 10 days old store. Don’t make your site look like it was created only 10 days ago. Import customers’ reviews from AliExpress, set amount of orders already placed on your store, attract some followers to your social media pages, etc. Congrats on your successful journey. I have a doubt. Will you please explain? Is social rabbit plugin really helpful in getting traffic to your site? And you said that you got sales only from Instagram Shoutouts So, do you think social rabbit plugin worth the money? Hey! SR plugin is great in attracting fans and followers to your social accounts making them look more trusted when you’re running promotions. I did setup it only once and always see the increase of new members on my accounts owing to the Rabbit. 2.from your experience does the traffic you get from SR Plugin convert to sales or is just followers and likes. 2. Yes, it also gives sales directly, but this tool is perfect for attracting fans and followers making your accounts look trustful. Hi Alex do you have a blog and contacts detail? – I would like ask you something, I rarely checking here replies. I take it you are not in canada … fyi. The canadian government does not recognize a US LLC as a pass through entity. You end up paying tax twice, without getting anything back. The reason that I am asking is that I am still researching information about dropshipping and wants to know how much money I need to shell out before I see any return of investment. I have limited funds but would be willing to spend money on a good business model. I too need that answer please. I also want to work without any pay to learn how this works? If anyone can volunteer ?? Also wanna know more about Aliexpress, what range of product do they have and where can I find this information?? Say a product whose price is $1 in aliexpress site and that Same product costs is $10 in your site , then why would people come and buy that product from your site and not from aliexpress site ? (May be my understanding of dropshipping is not correct so that is why I raised this above question , so if you can clarify my doubt will be helpful. Yes absolutely what i wanted to ask as well. I enjoyed your article, but didn’t I just see on the actual AliDropship addons page that Facebook were no longer allowing the Social Rabbit plugin access (due to privacy or something?) It’s a shame. I do have my own AliDropship store (just wanted to get that in there so you all didn’t think I was trolling and wanted to say something negative!) I’m loving my store, it’s just about a week old, and I’m adding product daily. No sales as yet but I haven’t done much in the way of promotion yet … that’s why I was checking out the Social Rabbit plugin! Hi Susan, there were issues with FB to use with Social Rabbit but it was already solved, the Rabbit plugin now works fine with Facebook. Please my name is Andrew Koomson and from Ghana. I have tried couple times to build dropship online store but I do not have the required amount to launch my website, to train as entrepreneur and also the process to register my company. I need help. Thank you for your story. I’m still motivated but I can’t wait for sale!! I started my store like less than one month and I use Social Rabbit as well. I’m building a network and paid Fb ads. I’m getting some traffic but no sale at all so far. I would not say that my niche is poor. AliDropship support team told me that it’s a good one anyway support me for increasing sales.